Great Pizza for a Great Cause! 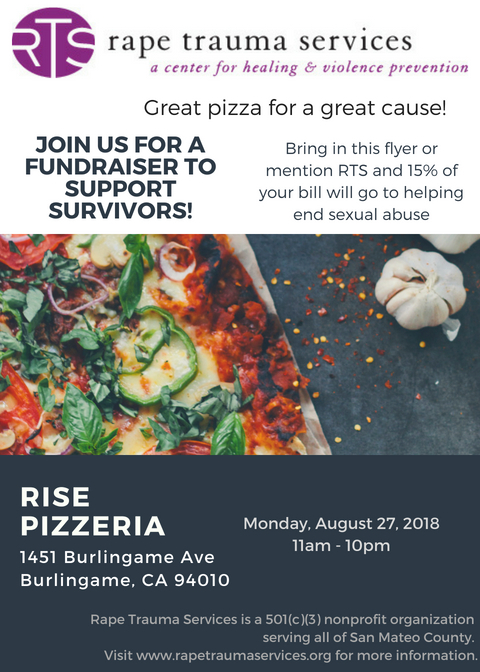 Eat at Rise Pizzeria anytime between 11am-10pm on Monday, August 27 and mention RTS. 15% of your bill will go to RTS to directly support sexual assault survivors.